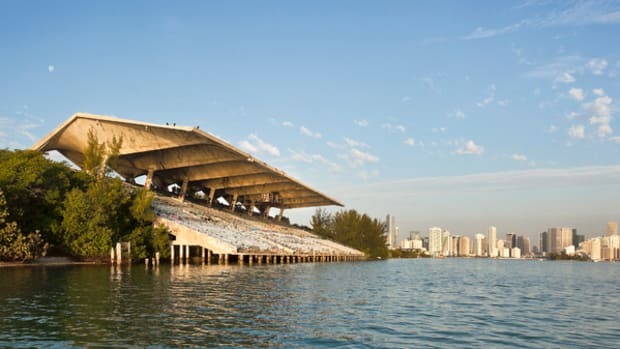 Miami’s premier in-water luxury yacht show, is set to take place February 12-16 along Collins Avenue, across from the legendary Fontainebleau and Eden Roc hotels. 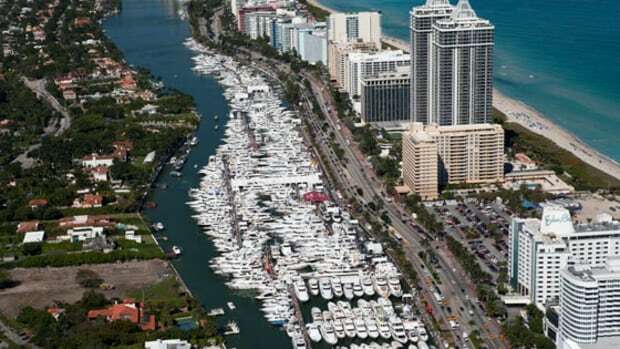 The 27th annual Yacht & Brokerage Show in Miami Beach, Miami’s premier in-water luxury yacht show, is set to take place February 12-16 along Collins Avenue, across from the legendary Fontainebleau and Eden Roc hotels. 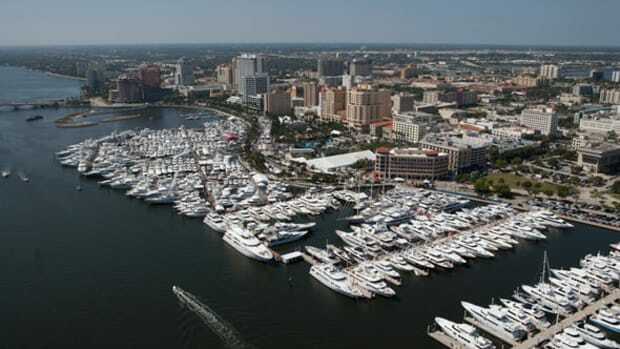 The show attracts thousands of people from around the world to a spectacular display of yachts and marine products, including more than 500 new and brokerage yachts and a wide array of the latest marine technology and accessories, valued at more than $1 billion. 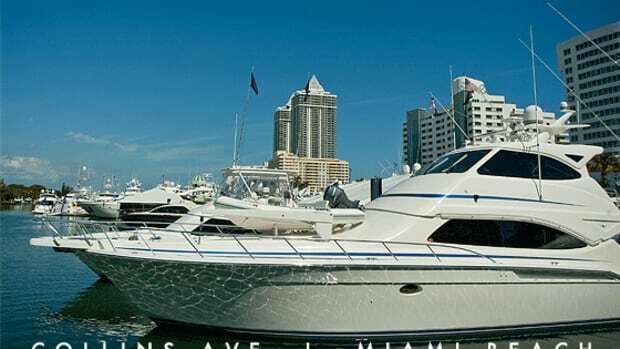 In addition to the remarkable display of yachts, the free show offers floating cocktail lounges, food and live musical entertainment. Covering more than 1.2 million square feet of space, the show spans more than a mile-long strip of the Indian Creek Waterway from 41st Street to 52nd Street. 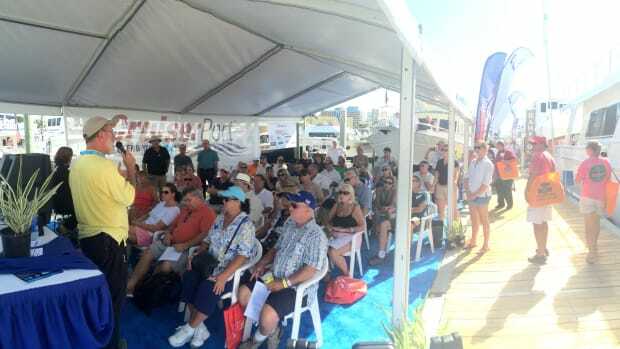 Show organizers are planning an additional Yacht & Brokerage Show location at Island Gardens Deep Harbour Marina in 2016. 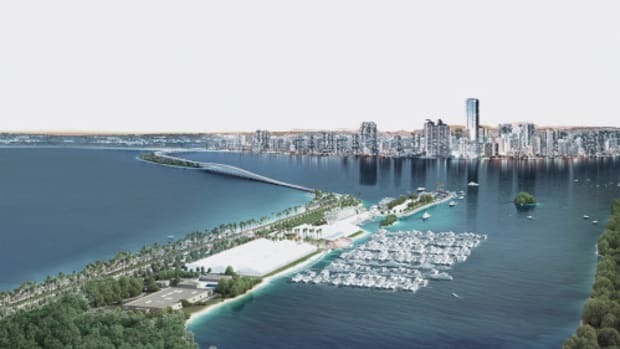 When completed, the new marina, located on Watson Island, will be able to accommodate 35 to 75 yachts from 80 to 480 feet, the largest collection of slips for yachts of this size in South Florida. 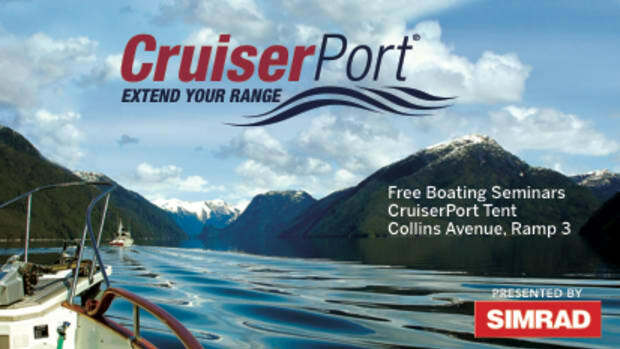 For Fans of trawlers and passagemakers, be sure to check out CruiserPort. 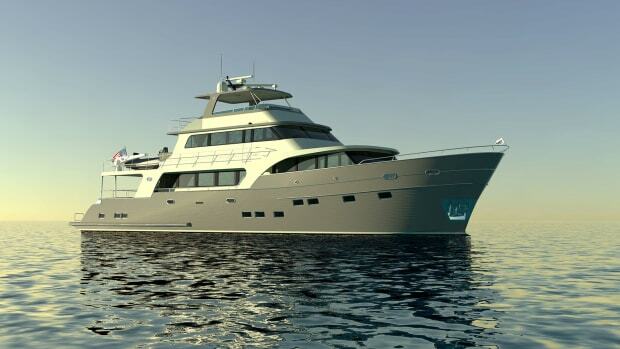 CruiserPort will offer an impressive display of the long-range cruisers offered in lengths ranging from 35 to 90 feet, built for long term cruising of regional and worldwide destinations. 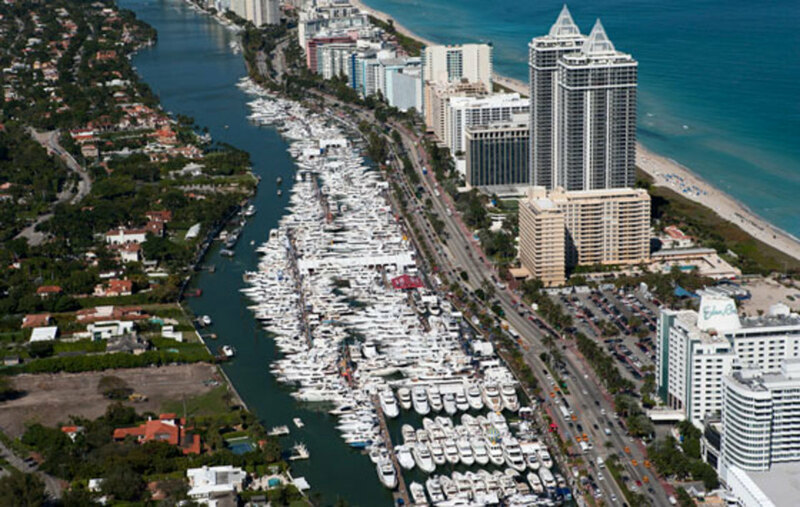 The Yacht & Brokerage Show in Miami Beach is managed, produced and co-owned by Show Management and co-owned and sponsored by the Florida Yacht Brokers Association (FYBA). Show Management belongs to the same parent company that produces PassageMaker and its affiliate publications. For more information, call (954) 764-7642 or (800) 940-7642, or visit www.ShowManagement.com. 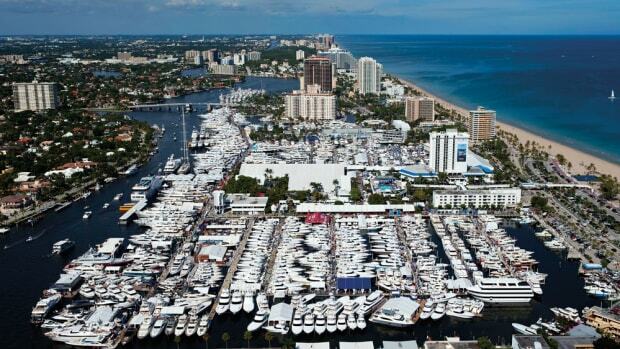 Like the Yacht & Brokerage Show in Miami Beach on Facebook at facebook.com/MiamiBeachYachtandBrokerageShow, follow the show on Twitter at www.twitter.com/boatshowupdates and tune into Boat Show TV at www.youtube.com/showmanagement. To make travel arrangements, contact the show&apos;s official travel partner, BoatShowHotels.com, at (866) 877-3083 or visit www.BoatShowHotels.com.